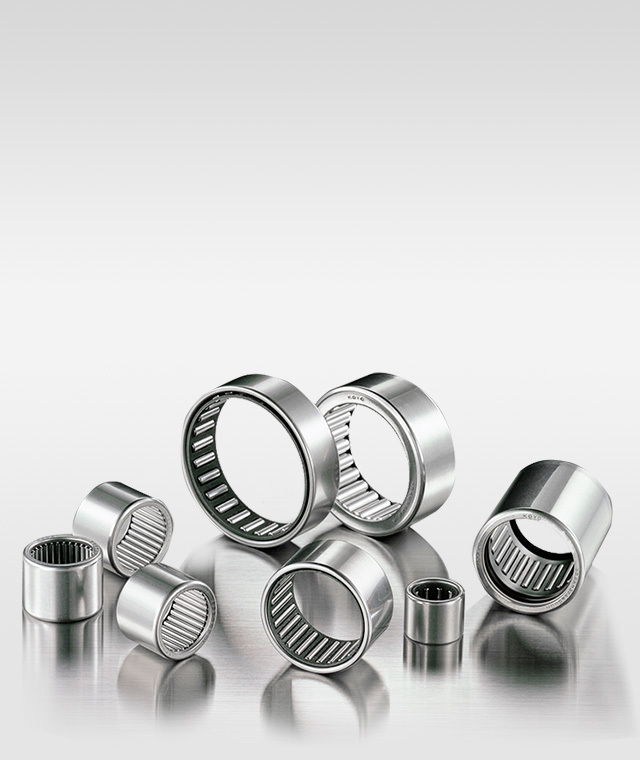 Needle roller bearings have a small cross-sectional height therefore contribute to keeping the overall machine lightweight and compact. As such, they are used across a broad scope, including cars, motorcycles, electric machinery, machine tools, aerospace devices, office equipment and other industrial machinery. The one-way clutch is configured from a thin steel plate outer ring which has been carburized and quenched, a metal or synthetic resin spring, a synthetic resin cage and needle rollers. This product is used in the clutch mechanisms of devices and equipment in many fields but particularly in OA equipment, such as photocopiers and fax machines. The track roller is a bearing with needle rollers built into a thick outer ring. It is available in a stud type and a yoke type. Both of these can be tailored to suit the application with either a full complement of rollers, cage assembly, seal or other option.